Pages for Children, Inc.: I have to show you this. A place where we can post news and events relating to Pages for Children. I have to show you this. I just received some new pictures of my newest nephew, Jay. I think he is adorable and had to show him to you. Now about the program. I've gotten a few more items to add to the auction, but I want to wait until I can get a press release done and get word out about what is going on. Thanks for bearing with me while I learn how this is supposed to go. I am very new to this and want to do a good job. This program is very important to me. These children are very important to me. I've added the February page now, so you have another one to look at. Anyway, check back and see what is going on. I have a feeling things are going heat up soon. Let's just hope I'm right. God's blessings to you always. 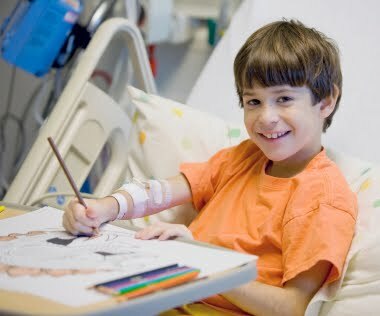 To improve the quality of life for children 18 and under who have been confined in a hospital for any reason, for any length of time, by sending them booksand other related items in the hopes of letting them know they are loved and being thought about during this trying time in their lives.